Data sharing coming to Voda for data hungry users. Speaking exclusively to TechRadar, Vodafone Australia CEO Bill Morrow revealed that the company is currently working on introducing data sharing plans. Though the telco currently has mobile data sharing pools for business customers, an offering for individual Vodafone users will allow data allowances under one plan to be shared across a number of devices. "We believe that it is important – we are moving very rapidly to a multi-device environment. Multi-device for you, multi-device for our family, and so we have to have a shared plan that coincides with that," Morrow explained. Telstra launched its data sharing plans earlier this month, touting itself as the first Aussie telco to do so. It is offering it as a $10 add-on for existing plans, with $10 more for each additional SIM, up to 4 devices. As Vodafone's data sharing plans and prices are still being developed, Morrow added that at this stage, he could not say when data sharing will be launched, only that it is on its way. "We are committed to [data sharing] – plans are underway right now, development is occurring now." Morrow also told journalists today that there are still a number of announcements to come from the telco, as well as news on the local network and new pricing plans. Amongst announcements would be the addition of new countries for its $5-capped international roaming regions offered on Vodafone Red plans. Having recently added Europe to the list of Roam Like Home countries, Morrow said that new regions, which are rumoured to include Canada and Asia, will be announced in the "first half of next year". 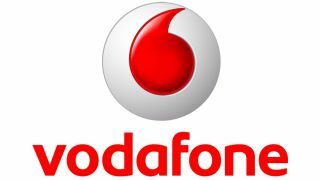 Morrow also added that Vodafone will be looking at how it can make its current Red plans simpler and that roaming rates on its non-Red plans are being looked at right now. Who has the best 4G network in Australia? TechRadar has a guide for you.